My name is Laurence (it is a girl’s name in French). I am 31 and I live in The Netherlands, Europe. I originally come from Belgium. My native language is French so please pardon me if you find typos here and there… I also speak Dutch and English. I also lived in Ireland for a year a while ago. I studied Health Psychology and Neuropsychology in Belgium and I now work in finance in a European Shared Service Centre for an international company that owns a few well-known brands. After working ours, I sew a lot. I bicycle to work and also go to boxing and tae bo classes. In my free time, I spend a lot of time daydreaming and preparing my next vacation, pushing my husband’s boundaries, trying to discover the world. I love to watch TV series on my laptop while working on projects. I became an expert at harassing my colleagues with the latest instalments of Game of Thrones, trying to not spoil anything to the ones that have not read the books (it was especially hard when they were wondering what would happen during an episode called “The Red Wedding”). 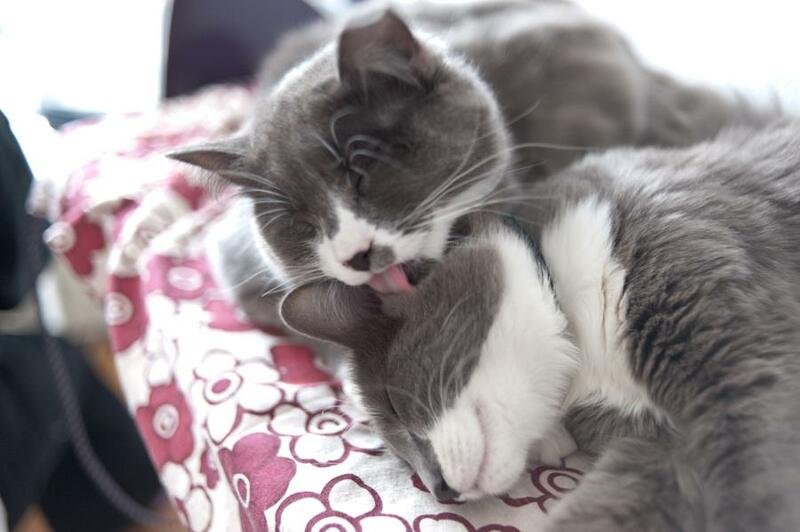 I also enjoy the company of two cats at home. They are brothers from the same litter: Wellington and Napoleon, and our house is their Waterloo play field… In a few months, the family will grow with a third little human. I started blogging in 2010 at QuirkyPrettyCute. 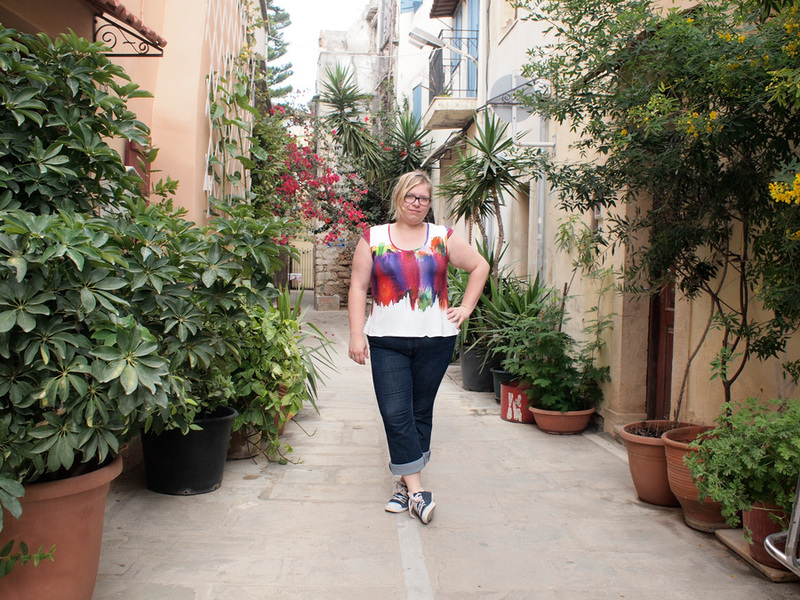 You may wonder, how a European girl did end up in the Curvy Sewing Collective? Back in March, Jenny from Cashmerette left me a very mysterious comment asking if I would be interested in a special project. After a heart rate peak, I sent her my e-mail address and the rest is history. We all worked on the Curvy Colette Blog tour. Within all the e-mails, we were all itching for more. The mail trails were bursting with ideas. This is where the Curvy Sewing Collective was born. This adventure came into my life at the perfect moment. Until earlier this year, I had left aside the feelings attached to my own body image and I only started to dig in a little bit. I tried to understand why sewing was making me feel happier, healthier and more accomplished. A few month ago, I even wrote a very heartfelt post about it. I got so much feedback with such intense reflexions! It only encouraged me to focus more on that side of sewing. The Curvy Sewing Collective is the perfect outlet to just accept yourself and get rid of negative feelings that are holding you back in life, love and health. Since I started sewing, I never limited myself to the sizes of the patterns. I immediately learned to upgrade everything I could get my hands on. And I keep doing so. There is so much to do for Curvy ladies! I wish they would all use sewing as an acceptance tool and see their body for what it is. I often receive compliments on the clothes I am wearing at work. When I explain to colleagues or friends that I made them myself, they never understand how I managed to learn everything without instructors! When I look back, the way I got to this point always makes me smile. My Grand-Ma was a seamstress, married to a milk delivery man. She made all my mum’s clothing and all my little girl’s dresses. Every time we were in a clothing store or watching a magazine, she would always say: “That is too expensive, I could just make it myself”. I can still see myself sitting next to her at her sewing table, sewing leftover buttons on fabric scraps or making Barbie dresses. Mind you, those dresses were simple rectangles folded, hand stitched, turned inside out, slipped on a doll and cinched in at the waist with a piece of string. My Grand-Ma never really wanted to share her sewing skills because she’d rather do everything herself and not fix our mistakes, something she did a lot with my mum’s projects. That’s why I never tried to look into the process. Basically, my brain knew that sewing was no rocket science but I never really went for it because it was my Grand-Ma’s territory and pride. 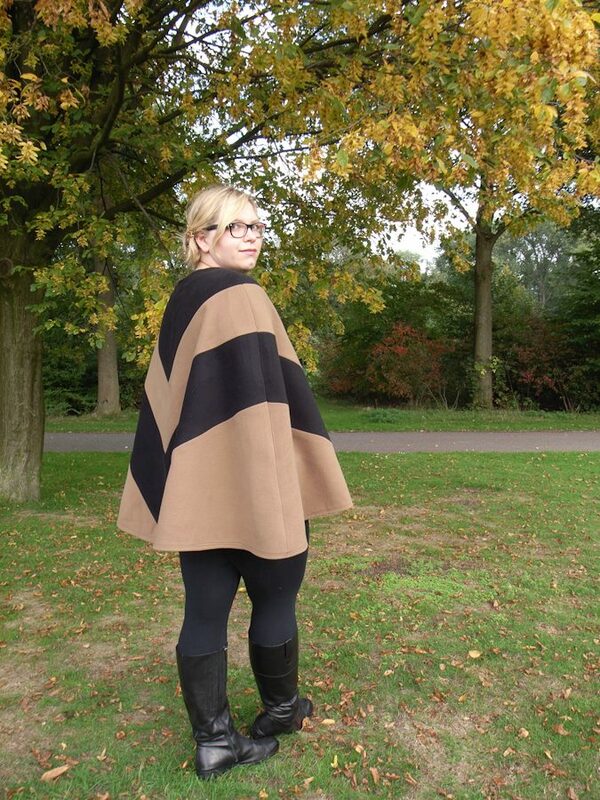 The year I moved to the Netherlands, I had just put on a lot of weight (25 kilos approximately, 55 pounds) after a bad break up. Even if I always had been overweight, this was a big hit to my mental and physical health. I met Mister (now my loving husband) and nothing was fitting me anymore. Even if he loved me the way I was from the first day on, I wanted to look good and I tried to widen some clothing I already owned. All by hand of course. I had not touched any sewing machine in my entire life yet. For Halloween in 2009, I wanted to dress up as Fiona, and Mister as Shreck and that is where it all started! I purchased some green curtain fabric at IKEA and some golden thread. I literally folded the 3m rectangle on top of my head, cutting a whole for my head and draping the rest on my body. I stitched everything by hand. I also improvised the sleeves and the outfit for Mister. In the months after, I annoyed everyone with that project, so much so that my family got me a basic Singer for Christmas! I bought my first Burda and started sewing in March 2010. The rest is history! I did A LOT of experience based learning. I studied books, tutorials, blogs and instructions. At that point I was unemployed (except for a few freelance editing jobs), depressed (familiar much?) and bored. Sewing filled all the gaps in my life. It cured insomnia and gave me a purpose for a few months, between Dutch classes and job interviews. My first projects were patterns from the Burda magazine, made with cheap fabric. I still wear some of them. I would always go for the funky designs and my pretty and quirky ideas or fabric coordination. While reading blogs, I discovered other pattern companies from the Big 4 and then some Indies, like Colette. I went for everything, armed with my unconditional belief in upgrading patterns. Ok, it sometimes failed, but it mostly worked. Since then, I have sewn a lot of dresses, my Bridesmaid’s dresses, and many more! I also try to learn new skills, because I am still at an intermediary level. 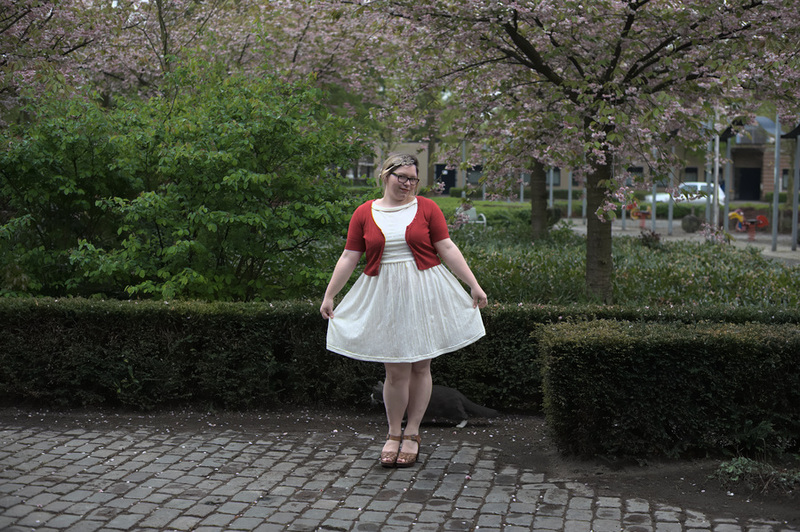 The project I am the most proud of is my Wiggle Dress from Gertie’s book. I feel great in it. To be more concrete and technical, some numbers! At the moment, my measurements are 115 cm (45 in) at the bust, 103 cm (40.5 in) at the waist, 135 cm (53 in) at the hips/tummy. I would describe myself as a mash between an Apple and a Hourglass shape, with a kangaroo pouch in the lower tummy area. I also sometimes need to widen the sleeves in the biceps area. But I usually try to avoid it in my pattern choices, or by shortening the sleeves. Luckily, I am only a C or D cup so I rarely need FBA adjustments. To be brief, I am a unconditionally positive sewing enthusiast! I am also really good at finding the fabric that would make a project pop and imagining an end result, not taking into account most limitations! So ladies! Are you as excited as I am? Hi Laurence! 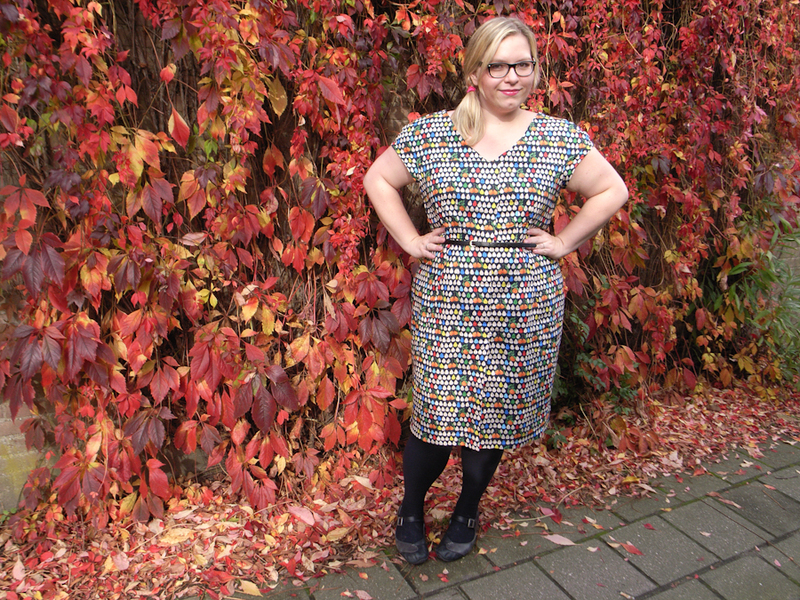 Thank you for your blog post – you look absolutely fantastic in your dresses! We have similar measurements, which is incredibly encouraging to me at the start of this sewing stuff. Thank you so much for the inspiration! Congratulations on the baby! I actually didn’t get HUGE when I was pregnant with my dear son (He’s 16 now- where did the time go?). And he was by no means a teeny baby- 9# 2oz (a little over 4 kilograms)- still you may not need special maternity patterns, as Michelle said. I couldn’t easily find maternity clothes or bras 17 years ago, and I was maybe a U size 16… crazy … Things are MUCH better than they were! Now for fun- baby clothes!!! I can’t believe I didn’t sew for my son when he was little. No one sewed in the late 90’s it seemed. You young things (I’m a VERY youthful 50) have NO idea how great it is to be sewing now- enjoy! Thanks a lot! My first early pregnancy was a Moneta actually, I will post it soon. I also found beautiful Maternity patterns but they will need upgrading. I think it will be part of the fun and a new challenge. And I agree with you, fighting your mental block is a great idea! I think I’m gonna be huge! 🙂 I already have a bump and I’m only 16 weeks. Because of previous miscarriages my hubby and I talked about trying to keep quiet about the pregnancy till 20 weeks – I don’t think that is going to be possible! Anyway, I thought about trying Sew Liberated Schoolhouse tunic to begin with. My problem is, I usually steer clear of blousy shirts falling from an empire line. I have a large bust and wide hips but I do have a narrower waist which usually needs some shaping. Full tops and dresses without waist definition don’t usually do me any favors. I wonder if the same rule should apply when pregnant – allowing for a growing bump in front of course. 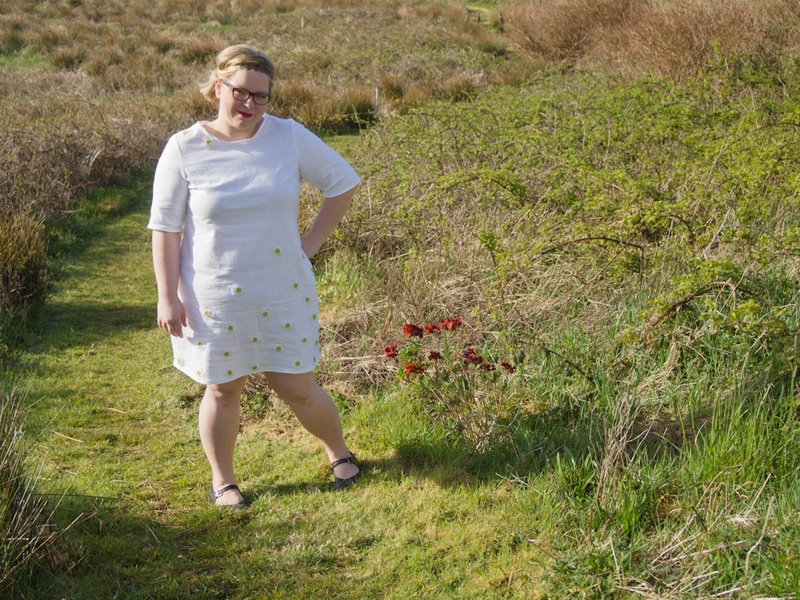 Personally I tend to avoid empire line dresses because they make me look pregnant – but I’m SO LOOKING forward to making and wearing them when I am pregnant! 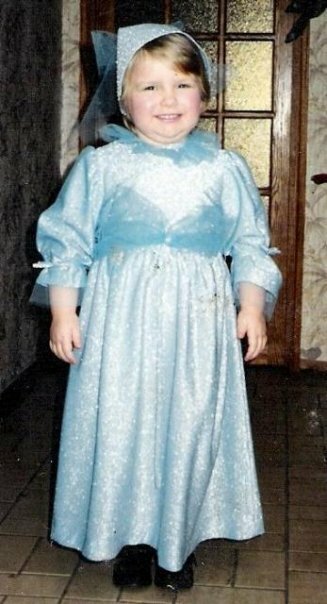 Hi Laurence, I’m wondering what the dress is in your very first photo. It’s tres lovley! Hi Melanie, it is the Wiggle Dress from Gertie’s book. I first discovered your blog when the CSC did the Collette Moneta. I was so excited to see how the dresses could look so cute on people whose bodies were more like mine. So, although I quilted for years, I have started taking baby steps toward learning to sew with my mom. She has never graded patterns either, so we are both nervously moving forward. I am finding a couple of patterns that fit me and I want to make my own capsule type wardrobe for this fall/winter so that I can feel good in everything I wear. It has been a long time since that has happened! Thanks for being an inspiration and congratulations on the new baby! Think of all of the cute baby items you can make! Fun! Lovely to “meet” you. Congratulations on the baby. Lovely to meet you! What a beautifully phrased and inspiring post. I love your sewing choices and that you are not afraid to try different things (I am easily afraid by lack of experience). I am feeling unhappy with my body at the moment, having eaten a little too much on holiday, and done too little. Reading this was just what I needed. Thank you! I love reading this blog and this morning really enjoyed reading your post. I’m pregnant too! I am due around the end of January and am currently 16 weeks. I am so looking forward to feeling the first movements in a few weeks time. What are your plans for maternity sewing? I would love to hear what other curvy Mamas have sewn up to accommodate their gorgeous growing bump! All the best of a healthy and happy pregnancy! My daughter is two now, but I ran into the same problem (lack of larger sized maternity patterns and clothing options). I found it to be very frustrating. Fairly soon after my daughter was born, however, StyleArc released a small maternity collection, and their sizes go up to size 30. It’s only a pair of pants, top, and a belly band, but they’re basics that you could make several times. I was amazed at how few different “maternity” garments I got away with wearing. I ended up wearing a lot of non-maternity tops and dresses that had features like draping and gathering in front to accommodate my growing belly. I was able to wear my pre-pregnancy HotPatterns Sunshine Tops and Delicious Dress all through my entire pregnancy because of their draping. You give me courage. I’ve been sewing for 40 and gave up sewing for myself because of having to alter every part of commercial patterns. When I was 14 I made the pattern and it fit. I got spoiled. I look forward to reading your other blogs. I too have sizing issues. Even when I follow the size recommendations, it either comes out gigantic, or tiny. Very frustrating! Excited? Oh yeah! Thanks for posting this! I actually discovered your blog and have been reading it for a while–someone shared a link to your body acceptance post on her own blog (Carolyn, I think), and I’ve been following you ever since. Congratulations on the impending new addition to your family! Thank you for Sharing this, Laurence! Thank you for your post! I love that you shared your TNT. Am I excited? Yes! Just came back from the garment district in Toronto with some fabric for fall sewing. It is lovely to meet you. Hi Laurence, I am owning up now as a complete blog stalker! Your own blog is one of the first sewing blogs I came across when googling for sewing tutorials last year and after reading one of your posts about body shapes I then spent hours (LITERALLY hours) reading back through the whole thing and drooling over all the great photos. After months of being a ‘silent lurker’ I finally thought why am I not posting? I should say hi and get involved in such a great community and give credit where it is due! You are a complete inspiration to me and I adore all the beautiful clothes you have made and enjoy reading your very funny and frank descriptions of fitting issues and your own progress with sewing. We have very similar measurements and you inspired me for the first time in about 15 years (I’m 34) wear a DRESS and of course for the first time to MAKE a dress. It turned out pretty good for a first attempt with cheap fabric that cost £4 for the whole thing. I still wear it now and actually outside the house so that’s a good sign. Since then I have discovered the rest of the fabulous CSC bloggers plus a few others and follow them with the same stalker-esque zeal. I have bought an overlocker to keep my sewing machine company and have made several more dresses and even attempted the dreaded ‘trousers’. I’m ‘nearly’ there with an adapted/self drafted pattern for basic straight leg work trousers now after about 20 million attempts. It is just as well I had a lot of old bed sheets that no longer matched the bedroom after redecorating to use to make muslins, ha! My god but trousers are hard! So to answer the question at the end of your post “So ladies! Are you as excited as I am?” The answer is YES!!! I’m like a small child on Christmas Eve who cant wait to dive into a pile of presents every time I see a new pattern I like or accidentally go to a fabric shop. Anyway! Have a lot of fun with sewing, and keep on sharing! I am so glad that sewing makes you feel good 🙂 Thanks for your nice words!